Sandy open plains, slopes, and savannas, usually with jack pine and/or oaks. The flowers have a flat, pansy-like aspect, unlike V. pedatifida and other species, and may be as broad as 3 cm, making this an especially handsome plant. 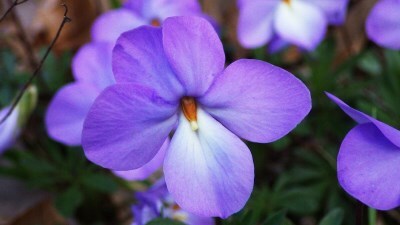 The upper petals may be deeper in color than the lower three, or may be rosy with the lower ones blue or white. Or all the petals may rarely be white in f. alba (Thurb.) Britton. MICHIGAN FLORA ONLINE. A. A. Reznicek, E. G. Voss, & B. S. Walters. February 2011. University of Michigan. Web. 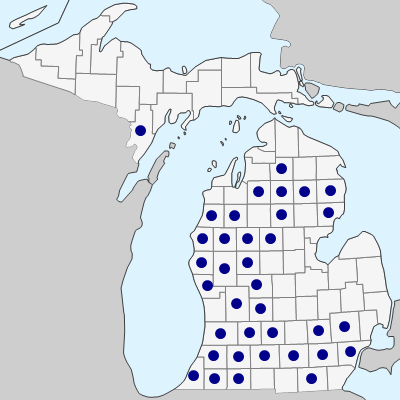 April 21, 2019. https://michiganflora.net/species.aspx?id=2790.